Danville - Robert Edward Kesler, 90, of Highland, CA (formerly of Danville, IL) passed away peacefully on Friday, February 15, 2019 at his home surrounded by his loving family. Mr. Kesler was born May 3, 1928 in Danville, IL, the son of Clifford and Frances Kesler. He married Beverly Kesler (Lemmon) in 1953 in Chicago, Illinois. Mr. Kesler is survived by his twin brother, William (Beverly) Kesler of Danville; one daughter, Jean (Philip) Browning of San Bernardino, CA; three grandchildren, Eric (Masara) Browning of San Bernardino, Ca., Kristin (Stan) Patterson of Murrieta, CA, Megan (Andy) Alam of Lawrenceville, IN; and eight great-grandchildren. Mr. Kesler was preceded in death by his parents, his wife Beverly, and his son, Thomas Kesler. 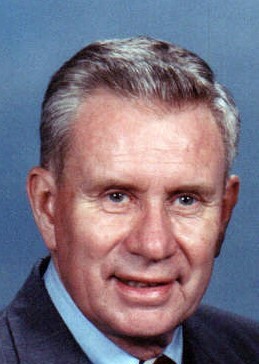 After graduating from Danville High School in 1946, Mr. Kesler attended the University of Illinois and graduated in 1950 with a degree in accounting. He later graduated from the School of law at The University of Illinois in 1952. Mr. Kesler joined his father's accounting firm after graduation and was well known throughout the Danville area as a principal partner in Kesler & Company Certified Public Accountants for 35 years. Mr. Kesler was a strong supporter of the Danville community. He formerly served on the board of directors at Lakeview Hospital in Danville. He also served as chairman of the United Way, along with setting up public scholarships for east central Illinois students as a member of the Danville Area Community College Board. He was a longtime member of Danville’s First Presbyterian Church and the Danville Country Club. Mr. Kesler enjoyed a passion for golf, spending time with his family, cheering for the Fighting Illini, and the Chicago Cubs. He also enjoyed travelling, especially his annual winter trips to Siesta Key, Fl. Mr. Kesler will be remembered by family and friends for his integrity, loyalty and strength of character. He was a role model to many. He placed his family above all else and is missed by all who knew him. A Celebration of Robert’s Life will be held on Tuesday, April 2, 2019 at 5:00 PM at Sunset Funeral Home and Cremation Center in Danville, Illinois, 3940 N Vermilion St., Danville, Illinois 61834, with Reverend Ann Schwartz officiating. Inurnment rites were previously accorded at Spring Hill Cemetery. Visitation will be held on Tuesday April 2, 2019 from 4:00 – 5:00 PM at the funeral home. In lieu of flowers, the family requests that donations be made to the American Diabetes Association. Please join Robert’s family in sharing memories, photos and videos on his tribute wall at www.sunsetfuneralhome.com .